No more keys under the mat. Keep your home accessible to you and secure from everyone else with a garage door keypad. Simplify your life with the best garage door openers on the market. 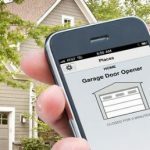 Enjoy the smart home movement with a Smart Garage Door Opener. Control the largest opening in your home from your phone! 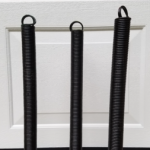 Your door will have one of two types of springs. 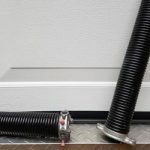 Torsion Springs are on a tube and are located above your door. You will be able to see them better if your door is in the closed position. This type of door has drums. Rollers are what attaches your door to the track. The ball bearings must be lubricated in order to work efficiently. 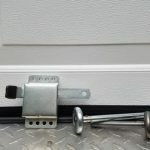 Slide lock is used to secure your door when there is no outside lock. Extension Springs are located above or along side the track. Look for safety cables through the spring. 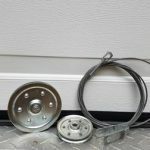 This type of door has pulleys. 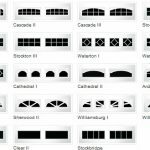 Weather stripping is located along the bottom of your door. It helps keep the air from coming in under your door. Cables and Pulleys work with extension springs. They are located along the sides of your door. 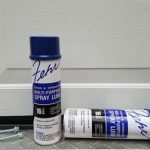 Spray lubrication is essential for keeping your door running smoothly. It should be applied the ball bearings of rollers and pulleys and torsion springs. 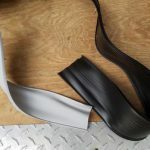 Whether you need to match existing glass due to a poorly aimed baseball, or want to improve the look of your garage with a decorative glass design, we offer glass repair and replacement services to suit your needs.